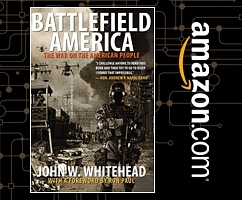 Constitutional attorney and author John W. Whitehead founded The Rutherford Institute in 1982 to provide free legal services to people whose constitutional and human rights have been threatened or violated. Having collectively amassed a wealth of expertise in constitutional law, The Rutherford Institute is a leading advocate of civil liberties and human rights, litigating in the courts and educating the public on a wide spectrum of issues affecting individual freedom in the United States and around the world. Whether our attorneys are protecting the rights of a child facing discrimination at school, standing up for a teacher fired for speaking about religion, or defending the rights of employees who have been discriminated against in the workplace, The Rutherford Institute offers free legal assistance—and hope—to thousands. The Rutherford Institute is committed to fighting for the oppressed. However our ability to do so depends largely on a national network of Affiliate Attorneys who are willing to volunteer their time and talents in order to stand up for those whose constitutional rights have been threatened or infringed. Our staff attorneys and paralegals work side-by-side with Affiliate Attorneys, providing in-depth legal research and drafting pleadings or legal briefs where necessary. Whether you are passionate about civil liberties or simply want to use your skills to help those in need, we urge you to become a Rutherford Institute Affiliate Attorney. The next call for help could come from someone in your neighborhood. Click Here to Complete Our Online Form and Tell Us How You'd Like to Help! When people find their constitutional rights threatened or violated, they know they can turn to The Rutherford Institute and its national network of affiliate attorneys to act as advocates for their freedoms. Each year, The Rutherford Institute comes to the aid of thousands of individuals who have encountered injustice in their lives. We are able to do so with the help of a dedicated group of attorneys across America who donate their time and expertise to assist us in our efforts to uphold and defend our constitutional freedoms. In addition to providing legal strategy and support, however, the Institute shoulders the financial costs related to defending someone whose rights have been violated, including the preparation of legal briefs, court filing fees, printing costs, travel expenses, expert witnesses, and other related costs. • Rights within the Workplace. You have a skill that can help people. Every attorney has a moral and ethical duty to take some pro bono cases. 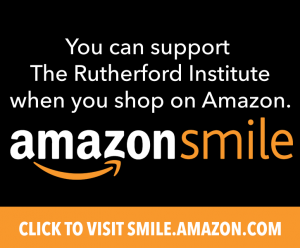 The Rutherford Institute staff provides tremendous background support for your efforts. The Rutherford Institute assists with legal expenses.